Every holiday comes with amazing experiences, but it so often happens that it also comes with a few challenges like booking flights and good hotels, planning a hassle-free trip, and more. With these challenges and many other issues at hand like funding & marketing, we felt that it would take at least six to eight years to solve all of it and become the #1 player in the holiday industry by providing an amazing experience to our travelers. 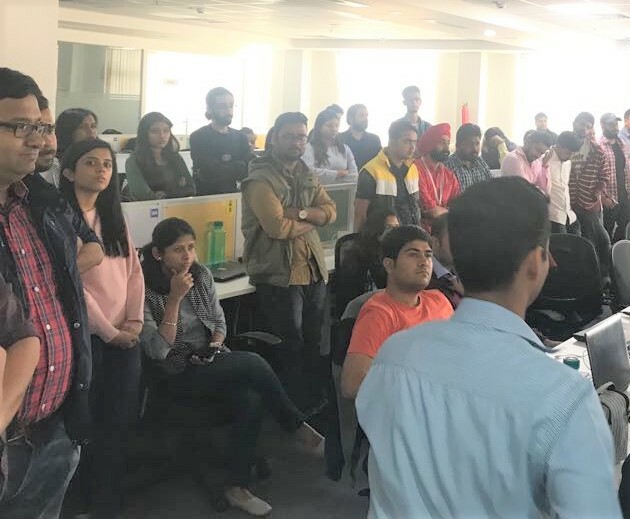 So, we decided to kick-start quarterly town halls, wherein we would discuss all the set milestones for the coming quarter with the whole team, update them about the previous achievements, and celebrate the high performances. 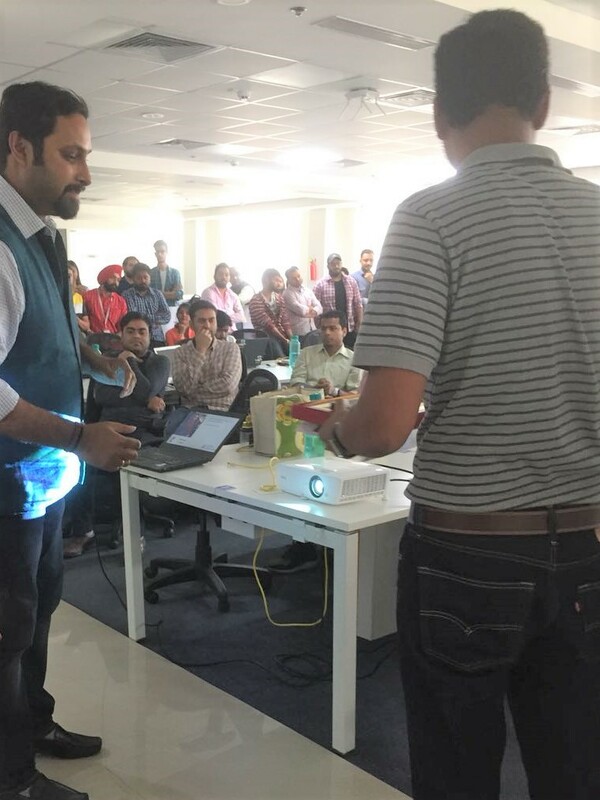 It has been a while since then, and needless to say the town halls have proved to be an incredible platform in all these years for sharing our success stories, and discussing new goals with everyone at TravelTriangle. 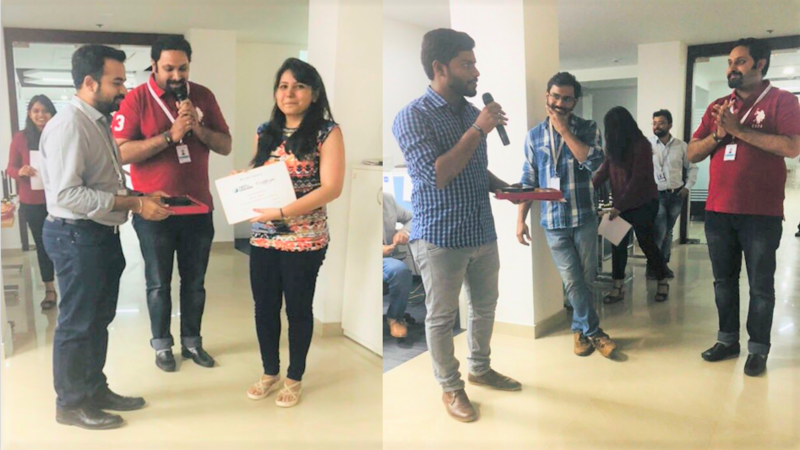 So, continuing the legacy, we had another one hosted by our founders (Sanchit, Sankalp, and Prabhat) on 6th March, which was further followed by a reward & recognition (R&R) event. 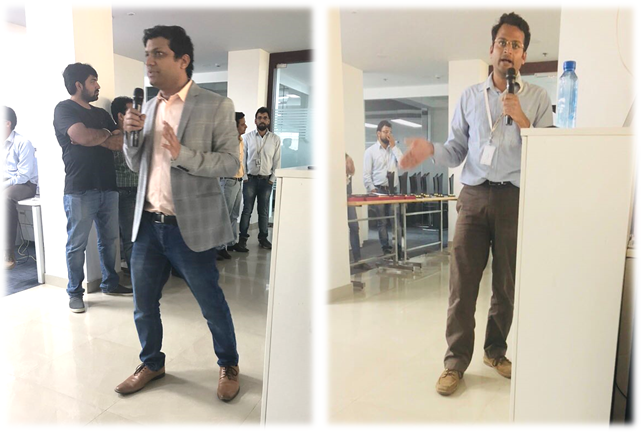 The evening started with the town hall, which threw light on a few major insights like the successful tackling of the Bali volcano issue for our travelers, resolving customer grievances, and achieving an NPS of 46 in the industry & 1Cr CM in December ’17. All these achievements not only motivated all of us to become the only online holiday marketplace that offers exemplary travel experiences, but also inspired us to keep our ‘tempo high’. But just like it’s important to make more travel memories so that the old ones do not fade, it is also important to set new goals to ensure that we keep climbing the ladder of success even higher. So followed by the past performance tales, our founders also discussed the new set goals for the coming quarter like striving to become #2 & then eventually #1 holiday partner in India and then in the world, and taking our CM digits higher. 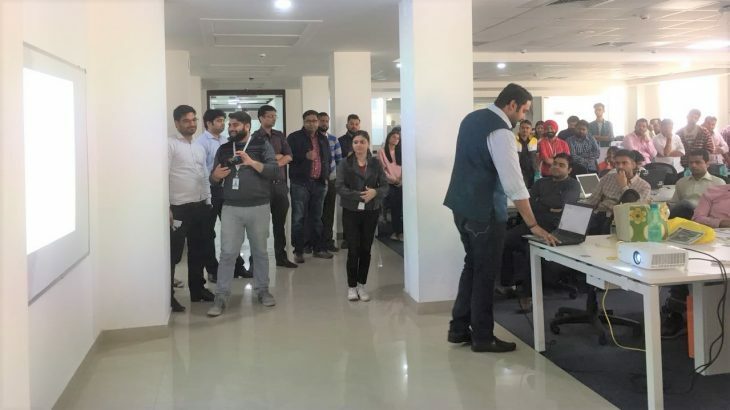 After the town hall ended, the R&R event started, which is also amongst the many reasons behind TravelTriangle’s success and impeccable work culture. It is absolutely true that with appreciation, comes great happiness and the motivation to work even harder. 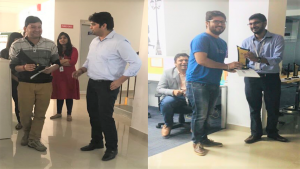 So, just like the earlier times, our founders & core team again ensured that the ‘tempo stays high’ by rewarding the hard-working aka the ‘star performers’ and ‘fast & curious’ employees of TravelTriangle for their high performance in the third quarter. While the town hall turned out to be a herald of good news, the R&R event put a sweet end to the evening and a motivational start to the beginning of the next quarter. 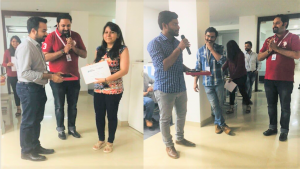 Team Corner Celebration, Quarterly Rewards, Town Hall, TravelTriangle, Work Culture. permalink.